Masia Ciscar S.A and the other production companies of the group market, through SAT LAS PALMERITAS, sell varieties of strawberries from the MASIA R&D programme. Today, this environment represents 60-70% of the total of varieties and the rest is in varieties of other programmes. This situation can change in a greater percentage in the coming years, as the acceptance of different European and National markets emerges. Do not forget that it is difficult to find new varieties of strawberries that improve those that are currently being cultivated in our lands and with our care. Likewise, to produce a varietal change in the company, a minimum of three years is required. This period includes the time that elapses between the test of the test field itself and its production on a commercial and large scale. 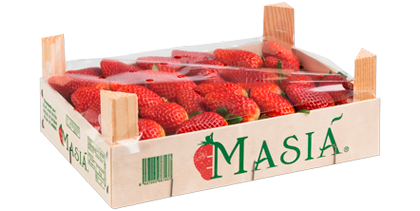 On the other hand, Masiá Ciscar S.A. collaborates with other improvement programmes for Huelva strawberries, evaluating advanced selections of them in order to obtain the best product for consumers. These advanced selections are in a second test field. These advanced selections, which can range between 20 and 30 a year, are evaluated for quality (colour, Brix degrees, post-harvest and hardness), precocity, production and, later, multiplication in the nursery. Of all of them, only a maximum of three (the best three) make the cut and the following year, in a greater quantity is evaluated in the test field. 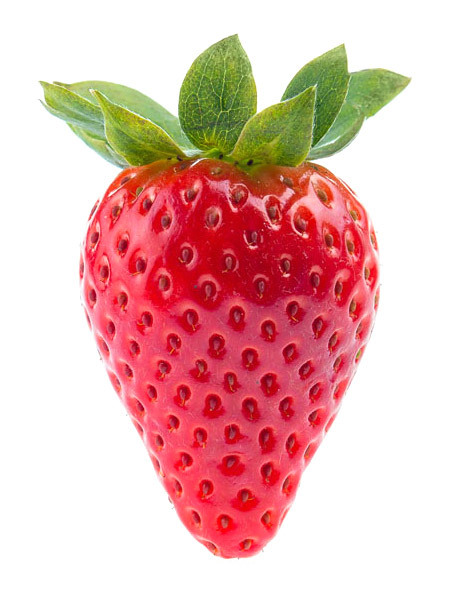 The strawberry is one of the lowest calorie fruits. It is also a diuretic and very rich in fibre, which helps intestinal transit. Thanks to these characteristics, it is the best ally for reducing the size of your belly. It is an excellent source of vitamin C, beta carotene and vitamin E, the three main antioxidants. The consumption of this spring fruit is especially recommended in prevention diets against cardiovascular diseases, cancer, arthritis, gout and anaemia. And if that were not enough, it has an acid that neutralises the most negative effects of tobacco. Some of the minerals that it contains are calcium, iodine, phosphorus, magnesium, iron and potassium. It also contains folic acid and it is used in natural medicine to cleanse and purify the digestive system. It is also known that strawberry juice has antibacterial properties due to the presence of carotenes, and that they are perfect to complete the diet of people who do not eat meat because the levels of vitamin C that they contain help the absorption of iron. 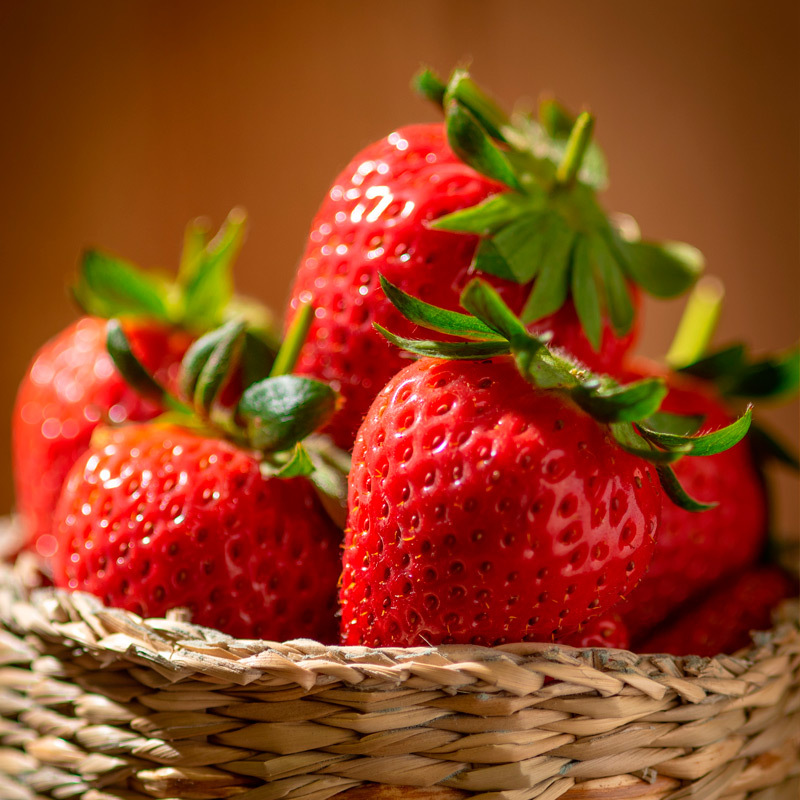 The consumption of strawberries is discouraged in patients with kidney diseases, diabetes and other gastrointestinal disorders (gastritis, delicate stomach, etc. ).